Home documentary film kickstarter street art Help Kickstart "Manileños"! It's crunch time for The Filipino Street Art Project's (FSAP) Kickstarter campaign for its flagship project, the documentary film "Manileños". Only 3 DAYS are left for FSAP to raise their target amount of $15,000 for the completion of the documentary. Filmmakers Kim Dryden and Austin Smith have been filming on and off in Manila since 2013. 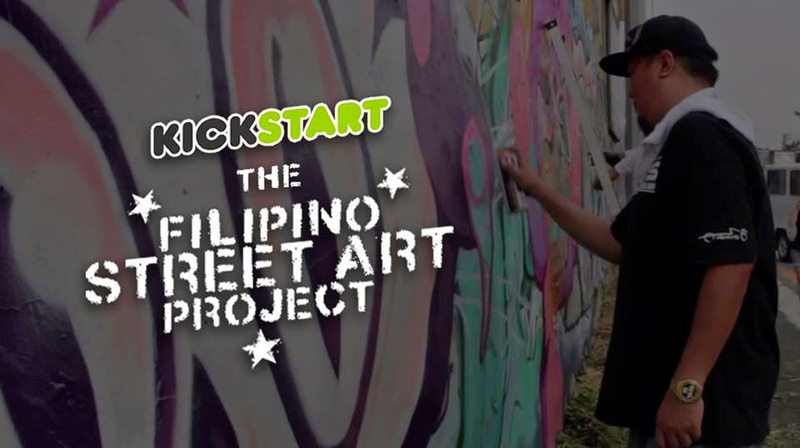 "It's a feature length documentary that uses the lives and stories of several Filipino street artists to explore Manila, the world's densest city, and celebrate the power of street art to empower and inspire. It's an important story to tell right now because the Philippines economy is booming and so the country is changing really fast - socially and politically. The film raises issues that affect us all, too, like the effects of globalization and the role of public art," Kim explains. According to Austin Smith: "For the past two years I have been filming off and on in Manila, living with street artists and documenting their stories. These artists are taking up public art as a way to comment on their changing environments and to influence their communities, making them some of the most important voices in the Philippines as it grows into a regional player. Their stories are representative of a new generation of artists and agitators ready to move their country forward, and I passionately believe that they need our help. Dryden and Smith have teamed with street artists in the Philippines and abroad in coming up with the "Manileños" Kickstarter campaign. Smith adds: "The campaign is live right now, where you can view our trailer and shop original artworks from Manila's street artists. When you make a donation on Kickstarter, artists receive their full commission in the Philippines. Everything over that goes to helping support our cause as filmmakers. Even as low as the $10 level, you are receiving exclusive designs and sending money directly to Filipino artists. Check out the "Manileños" Kickstarter page here and don't forget to share and pledge! UPDATE: As of November 7, 2014, Kim Dryden and Austin Smith have reached their goal of raising $15,000 (and more!) through Kickstarter for the completion of the film "Manileños". KUDOS!